One thing that is more important than ever with laptops these days is portability. You need something that’s not only light and thin, but something with a battery that can last at least most of the day. After all, you don’t want the battery dying out on you halfway through the work day. That’s why today we’re going to pit some of the two best portable and long lasting laptops against each other. The Surface Go and Samsung Chromebook Pro are both formidable and powerful portable laptops. So, which one do you pick up? If you follow along below, we’ll show you the pros and cons of both, and then which one comes out on top. Working as 10-inch laptop-tablet hybrid, both portability and power come together to create something amazing in the Surface Go. This is one of the first Windows 10-based tablets that offer the power and portability that workers and students need. With the Surface Go, you can outfit it with LTE capabilities to truly become portable — say goodbye to having to have a Wi-Fi hot spot when you can access the Internet from anywhere. It’s worth noting that the display size is only 10-inches, which is often a little smaller than even a Chromebook. Still, it’s a gorgeous display that will allow you to watch media and edit documents in high-definition. Being based on Windows 10, you’ll have access to all of the Microsoft apps that you need — the Office 365 suite, which includes things like Word, Excel, Outlook, ProPresenter, and more. And, when you find that the 10-inch screen is just too small, you can place the Surface Go in the Surface Dock to hook it up to a much larger display, which gives you a whole lot more real estate to work with. 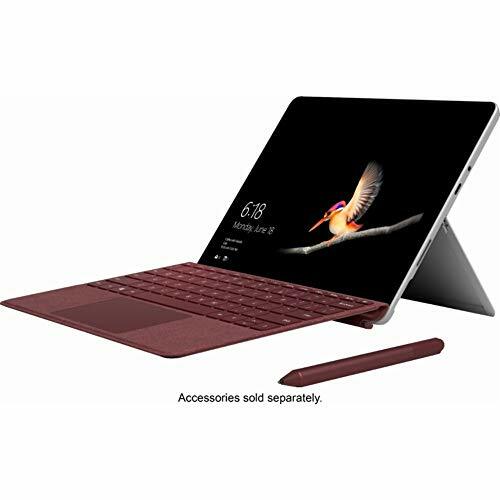 Don’t worry about hardware: the Surface Go will be able to keep up with any task you throw at it with the Intel Pentium 4415Y Gold processor. You can choose to outfit the device with 4GB or 8GB of RAM, with recommendations leaning on the latter. Microsoft says the Surface Go will be able to last up to nine hours off of battery, though we imagine they don’t factor in the demands of LTE in that spec. It comes with a built-in 128GB SSD drice, with a 64GB eMMC option. 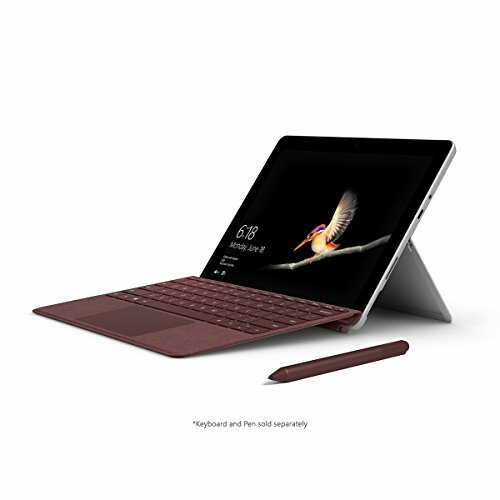 One thing’s for certain: the Surface Go is going to be able to keep up the demands of business or student life. The power package behind it is reliable, and then you get nothing but world class support with a 30-day return policy and an included year of in-store support in the event that you’re experiencing problems. The Surface Go has a lot of pros and only a few minor cons, but the Samsung Chromebook Pro might have more than just a few cons. One of the downsides of the Chromebook Pro is that it runs on Chrome OS. While that’s not a bad thing in itself, it makes it difficult to access Microsoft apps like Excel and Word when they don’t run on Chrome OS. 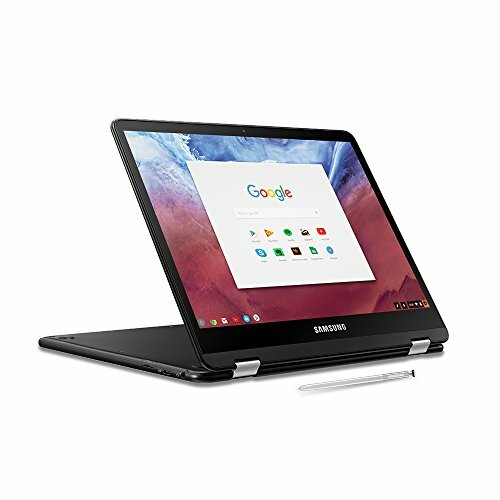 If that isn’t your worry and your satisfied with mere access to the Internet, the Samsung Chromebook Pro isn’t a bad option. As far as hardware goes, you’re looking at a larger display than that of the Surface Go – you get a whole 12.3-inches of real estate with a resolution of 2,400 x 1,600. Suffice to say, you’re going to get some good looking content on here. You only get 4GB of RAM, which is really good in this context, as Chrome OS needs hardly any to run (being based off of Linux and all). That said, everything will work at blazing fast speeds. You only get 32GB of hard drive space, which might not seem like a lot, but actually is given the size of apps — they take hardly any space at all, so you’ll have plenty of room for documents and the like, too. The Samsung Chromebook Pro has good battery life, too. A full charge should last you all day, thanks in part again to the low demands of Chrome OS. Get it at the link below. As you can see, both the Surface Go and Samsung Chromebook Pro is formidable laptops. Picking up one depends on your needs — Chrome OS is severely limited as far as software goes. Windows software just can’t run on it, and never will be able to. But, if all you need access to is an Internet browser and few Android apps, Chrome OS will do fine. We do recommend picking up the Surface Go still, as it is the more powerful of the two, backed by excellent customer support.